Offshore Simulator Centre (OSC) delivers advanced offshore simulators and training concepts aimed at increasing safety for personnel involved in demanding offshore operations. We are located in Ålesund, Norway, the heart of one of the biggest and most successful maritime clusters in the world. Based on operational expertise, advanced computer technology, and physics and mathematics, OSC is now the provider of the world’s most advanced simulators for anchor handling operations, platform supply vessel operations and lifting operations (crane simulators). 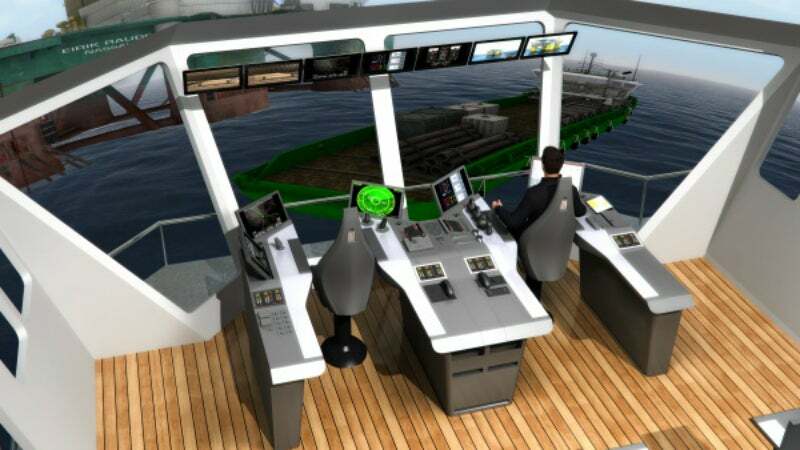 With a high-quality 3D graphics display and a simulator core that can be interfaced with virtually any required vessel system or equipment, the simulator experience extremely realistic. OSC opened the world’s first anchor handling simulator in 2005, and has since then further developed the simulation technology to include platform supply vessel operations and lifting operations. OSC was the first simulator vendor to fully include offshore deck personnel in simulator training, enabling entire crews to be actively involved in the operation performed in the simulator. The crane simulators include both rig crane and offshore / subsea crane simulation. In addition, OSC provides DP visualisation solutions for several DP-trainers, including Kongsberg, Rolls-Royce Marine and Marine Technologies. OSC has developed several innovative solutions for displaying a 3D virtual world in the simulators. The available displays include single LCD / LED-based solutions, via several sizes of spherical fibreglass domes including very large aluminum domes with vessel bridges placed inside. Our solutions are based on professional-grade projectors from ProjectionDesign. Advanced software-based geometry correction and edge blending make for a very high quality visual experience, independent of the shape or size of the display screen. OSC can provide complete training centre design and layout services. Using modern 3D visualisation software and applying professional artistic and design skills, we can help build highly functional and aesthetically pleasing training facilities. Together with Ålesund University College (Høgskolen i Ålesund), OSC has implemented a unique training concept for team-based training of offshore vessel crews. More than 1,500 offshore crew members have been participating in training in the OSC simulators in Norway, with excellent feedback both from the participants and from the companies who sent their crew to attend training in our simulators. In 2010 we also introduced advanced crane simulation, with special focus on rig cranes and lifting operations related to subsea operations. OSC was founded in 2004, based on a market need to improve training of personnel involved in demanding offshore operations. Through several groundbreaking technology developments OSC is now delivering some of the most advanced and realistic simulators for offshore operations. OSC has delivered complete training centres to customers in France, Singapore and Norway. In 2012 we completed the delivery of the world’s biggest offshore simulator centre in Perth, Australia (Farstad Shipping Offshore Simulation Centre).